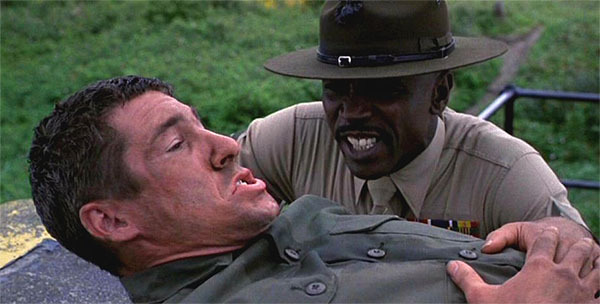 Jon Favreau has written, directed and starred in a nice, but unchallenging story with likeable characters that, unfortunately lacks the one crucial element that all films need, conflict. To be fair, “Chef” does have a promising start. Favreau plays Carl Casper, an idealistic chef who strikes out on his own to make the kind of food that he likes, as opposed to the tiresome menu that restaurant owner, and unfeeling boss, Dustin Hoffman wants him to make. Carl’s actions follow a quite funny online twitter feud with acerbic food critic Ramsey Michel, played by Oliver Platt. This makes for great conflict and I was hoping the film would have more with this. Twitter does play a prominent role in “Chef” as the internet unsavvy Carl learns the “ins” and “outs” of Twitter via his pre-adolscent son, Percy (nicely played by Emjay Anthony). The bulk of “Chef” though concerns a long cross country trip with Carl, Percy and loyal co-chef buddy, Martin, played by John Leguizamo, driving a taco truck and “wowing” food oficionados along the way. Leguizamo, not exactly stretching here, plays, well, John Leguizamo, the funny, wise-cracking, “knows how to get the job done,” side kick, something which he does well. “Chef” does have a game, energetic cast that also includes Sofia Vergara, Bobby Cannavale, Scarlett Johansson and Robert Downey, Jr. I think “Chef” could use a good trimming prior to a theatrical release. While yesterday’s films ran the gamut from a silent, to film noir, to dramas, a consistent theme seemed to be vigorous movie people in their 90s who showed up to speak at the screenings of their films. The most visible of these was Kirk Douglas who entered Grauman’s Chinese Theatre to a sustained standing ovation from SRO crowd. 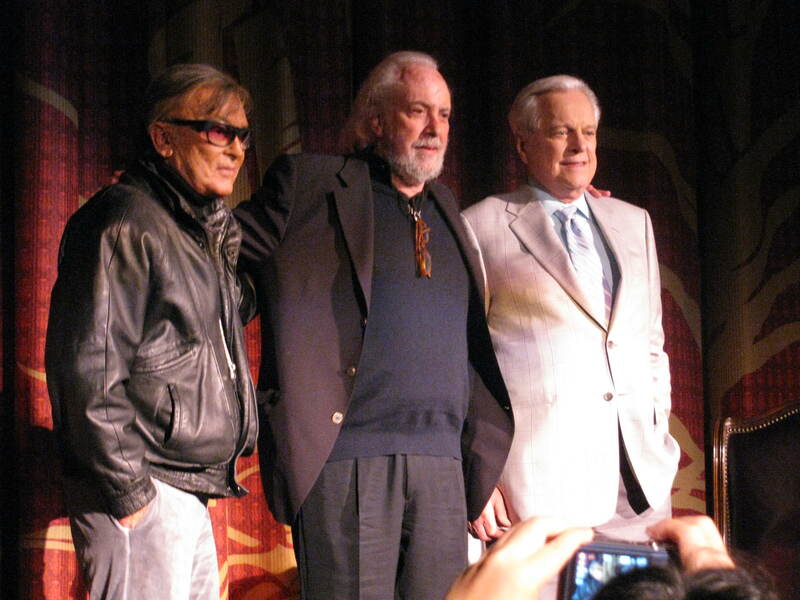 He was there to introduce his 1954 film “20,000 Leagues Under the Sea.”At one point Douglas declared himself to be the oldest person in the room. He asked if there were any other 95 year-olds present. Not a hand went up. Douglas, who was interviewed by TCM host Ben Mankiewicz, held the audience in the palm of his hand as he told stories, jokes and even sang “A Whale of a Tale” from “20,000 Leagues.” Douglas also talked about his role in ending the blacklist by employing and crediting blacklisted writer Dalton Trumbo on his film “Spartacus.” While Douglas was there to introduce “20,000 Leauges,” his all too brief, 15 minute, introduction proved to be better than the film itself! Actress Marsha Hunt, also in her 90s, gave a riveting interview following a screening of her 1948 film “Raw Deal.” Hunt, elegantly dressed and walking with a cane (she told us not to worry and that she was fine) had also been blacklisted. She gave us a mini history lesson on the Blacklist and her part in speaking out against it, which only got her into trouble. Hunt also talked about working with director Anthony Mann and fellow cast members Dennis O’Keefe and Claire Trevor on “Raw Deal.” She was interviewed by film noir expert Eddie Muller. Fayard (left) and Harold Nicholas. 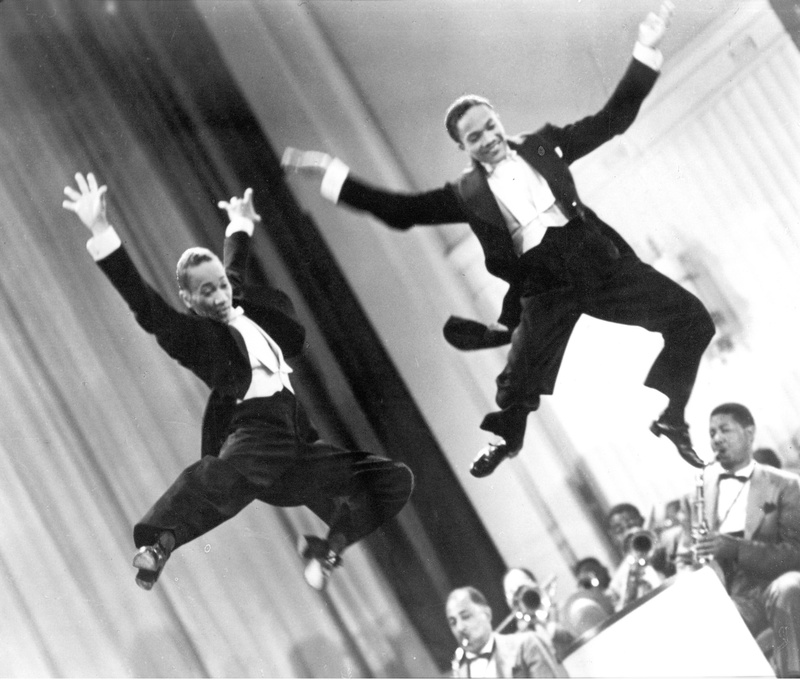 On Monday, September 19 Film Forum had one of their great special events, “A Tribute to the Nicholas Brothers,” presented by Bruce Goldstein, Film Forum’s Director of Repertory Programming. The Nicholas Brother, Fayard and Harold, were an African American dance team that had a 70-year long career starting in the 1930s. They made movies, starred on Broadway, TV, performed in Paris and headlined at New York’s famous, and infamous, Cotton Club. In one of the interviews it is pointed out that the only art form they did not try was opera.